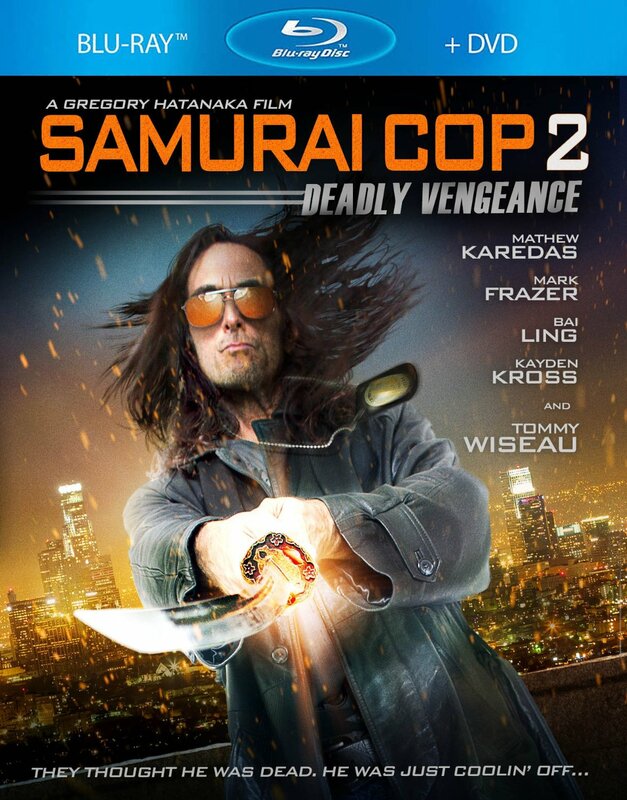 Samurai Cop 2: Deadly Vengeance will be released on Blu-ray and DVD this Tuesday, ‪January 12, 2016 on Amazon.com‬. 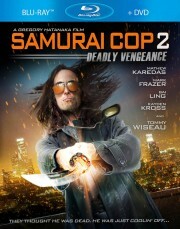 Los Angeles, January 11, 2016	(Newswire.com) - Samurai Cop 2: Deadly Vengeance will be released on Blu-ray and DVD this Tuesday, ‪January 12, 2016 on Amazon.com‬. Alongside the original cast, the film also stars iconic actors such as Mel Novak (Bruce Lee’s Game of Death, Black Belt Jones, Chuck Norris' Eye for An Eye), Bai Ling (The Crow, Crank: High Voltage), Tommy Wiseau (The Room), Laurene Landon (Maniac Cop 1 and 2, Airplane II: The Sequel, Hundra), Thomas J. Churchill (Lazarus: Apocalypse, Checkpoint), Joe Estevez (Dexter), Dawna Lee Heising (Pond Scum, Ten Violent Women: Part 2), Gerald Okamura (G.I. Joe: Rise of the Cobra) , Lisa London (Darling Nikki, Divorce Texas Style), Kayden Kross (Street Smart), Lexi Belle (Sisterhood), Kristine De Bell (Darling Nikki, Meatballs) and Joycelyne Lew (Mad Cowgirl, Ride With the Devil), who were both leads in Jackie Chan's The Big Brawl and countless others. This film utilizes 35mm film, which is rare in today's digital world. This is a new trend as 35mm and 70mm film are being used in the new James Bond and Quentin Tarantino films. Heising's scene with Wiseau utilized 35mm film, which was apropos as Hatanaka truly gave homage to the original film while also keeping it fresh and current enough for modern day audiences.